In the last few months we’ve had a staff change and added a new position. 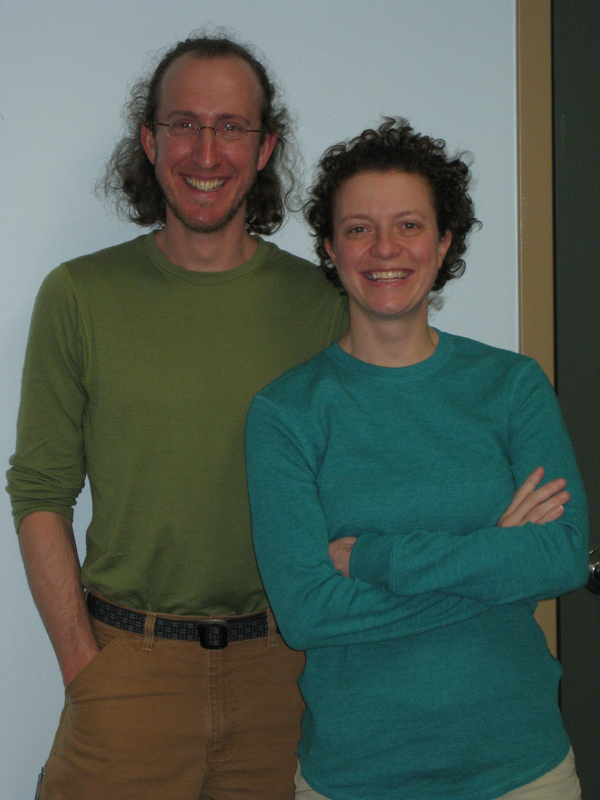 In March Jason Frenzel joined HRWC, replacing a retired Joan Martin, as the Stewardship Coordinator. Most recently Jason worked with the City of Ann Arbor’s Natural Area Preservation program for 10 years as its Volunteer and Outreach Coordinator. Before that Jason worked with the Groundwater Stewardship Program at the Washtenaw County Conservation District. Jason holds a B.S. from Michigan State University in “facilitating tree hugging”. I find that many people already know Jason, as he does a lot of volunteering to create community in and around the ‘shed. Jason lives in the Traver Creekshed. Mel Ring also started in March as the new membership coordinator. Mel is working part-time with HRWC managing the membership, summer events, and assisting with other development activities. Mel lives in Dexter, but hails from Austin, TX. Mel is also a massage therapist and nationally ranked disc golfer . While she does a lot of work with her hands, she brings a big heart and passion for the river and a quick wit for tackling the membership database. Mel lives in the Mill Creekshed. Please stop by and introduce yourself to Jason and Mel. They are both gearing up for a summer filled with HRWC events and monitoring.